Wikipedia’s entry on Wounded Knee says the Seventh Cavalry had the camp surrounded on the morning of Dec. 29 and soldiers were in the process of disarming the Lakota. One version of events claims that during the process of disarming the Lakota, a deaf tribesman named Black Coyote was reluctant to give up his rifle, claiming he had paid a lot for it. 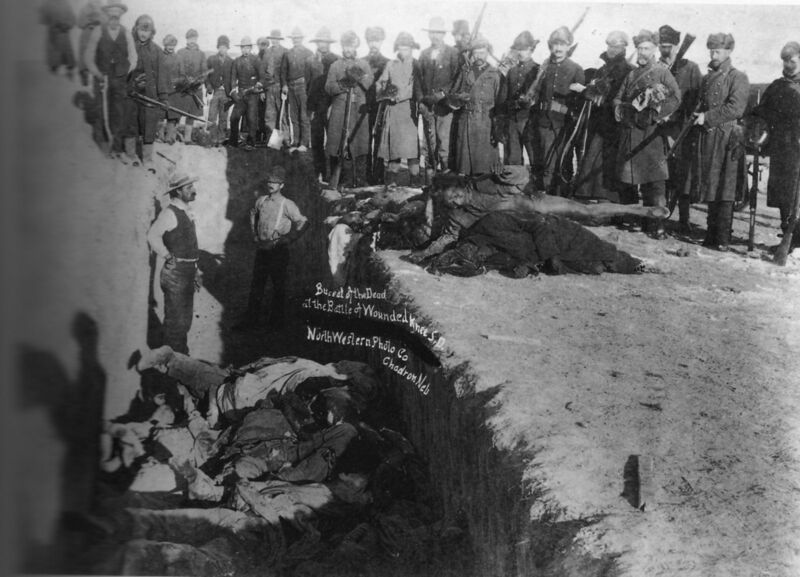 A scuffle over the rifle ensued and by the time it was over, more than 150 men, women, and children of the Lakota had been killed and 51 were wounded (4 men and 47 women and children, some of whom died later)… Twenty-five soldiers also died, and 39 were wounded (6 of the wounded later died). The petition is still open and has around 15,000 signatures. Here is a story Minnesota Public Radio posted today: Grief, hope mix on Wounded Knee anniversary. On Wednesday, President Obama proclaimed the Bears Ears in southern Utah a national monument, drawing praise from the Native American leaders and criticism from western lawmakers who want the land for economic development. Rising from the center of the southeastern Utah landscape and visible from every direction are twin buttes so distinctive that in each of the native languages of the region their name is the same: Hoon’Naqvut, Shash Jáa, Kwiyagatu Nukavachi, Ansh An Lashokdiwe, or “Bears Ears.” For hundreds of generations, native peoples lived in the surrounding deep sandstone canyons, desert mesas, and meadow mountaintops, which constitute one of the densest and most significant cultural landscapes in the United States. “In a very real sense, this is a monument to justice as much as conservation. 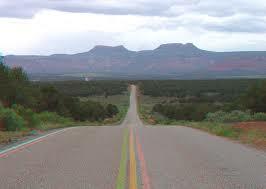 The Bears Ears National Monument protects a living cultural landscape, a place of migration and habitation used by Native Americans since time immemorial. A National Monument “is a protected area that is similar to a National Park, but can be created from any land owned or controlled by the federal government by proclamation of the President of the United States,” Wikipedia says. Cattle rustlers and other outlaws created a convoluted trail network known as the Outlaw Trail, said to be used by Butch Cassidy and the Sundance Kid. These outlaws took advantage of the area’s network of canyons, including the aptly-named Hideout Canyon, to avoid detection. Obama also designated 300,000 acres in Nevada as the Gold Butte National Monument. It is outside Las Vegas, “and will protect rock art, fossils and recently discovered dinosaur tracks,” according to the BBC report. A group of indigenous youth from Canada are marching 800 miles to join the effort to protect water and oppose the Dakota Access Pipeline, according to an announcement today by Anna Lee, Bobbi Jean & the Oceti Sakowin Youth. They were motivated by a devastating oil spill which sent almost 60,000 gallons into the North Saskatchewan River, near their community. The spill happened in July. A news item from Global News blamed the spill on a “sudden, one-time event” in which the ground shifted and Husky Energy’s pipeline buckled, spilling 225,000 liters of heavy crude oil (about 60,000 gallons) within a tenth of a mile of the river. Approximately 40 percent of the spill went into the river, the report said.